Is your web designer immortal? I was chatting to a client this week who was tearing their hair out. Their much valued and loved web designer had unexpectedly died. Tragic for the family and friends. But, in a more mundane, way, tragic for my client. They had let the web designer purchase and download all the themes, pictures, add-ins and apps that made the website work. The web designer has the master user logins and hosted the site. It wasn’t even clear that the domain name belonged to my client. The grieving family were understandably not concerned with what would happen to my client’s website – but it needed maintenance and every day that went by was costing them money. I didn’t want to tell anyone that it was possible the web designers assets would go into his estate and if it was not clearly documented who owned what, it could take a very long time indeed to get it all sorted out. It must have been a tough week for web designers as another client lost a web designer too. They tactfully transferred the website to a new support team and sent flowers and a note of condolence to the family. They already had the rights, the logins and all they needed to do it. You can’t bet your future on someone else’s cooperation or health. 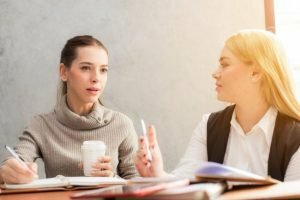 If you haven’t got a REAL agreement that sorts out who owns what from the start, you can run into all sorts of trouble when you go your separate ways. If having a website is part of running your business – then check out our contracts for freelance web designers. Plan your website, and your relationship and how it ends – all in a friendly way – while you are all able to talk about it and sort it out. Are you paying to damage your business? Are you a web designer who wants to work more effectively with clients? 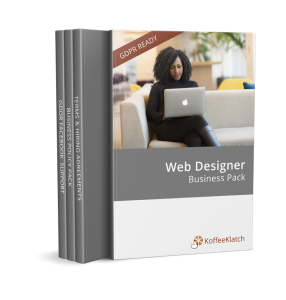 Download our FREE guide that highlights some of the key points you need to consider when you’re about to start a website design project! Would you like to receive helpful updates on GDPR, Brexit and Business Contracts and Documents? We send out newsletters monthly and promise not to be dull or boring!